We recently went to a sales meeting in New York City. The company is publicly traded with a market capitalization of $2.7B. Yes, billion. There are 1,250 employees across multiple international offices. Their newly-hired chief marketing officer (CMO) had enlisted some of his team members to find an agency to work on redesigning their website. The employees tasked with this project managed to put together a request for information (RFI), which was nice enough to warrant a response from us. After an initial conversation, we set up a meeting at their offices. After the first handshakes, we all sat down together: two members of the NP Group team, two marketing team members on their end, and their CMO. After a quick introduction to the NP Group as a company, we summarized what our agenda was for the meeting and how we would discuss their particular project and our services. During this entire segment, the CMO was busy on his phone doing...well, who knows what. At this point, he says: “I’m a visual person and I’m very busy, I am of no use here.” And then he gets up and walks away. After starting the discussion, it became apparent that the two marketing team members, who have been with the company for quite some time, were constantly looking over our shoulders out of the office to see what the CMO was doing. To put it plainly, they were clearly under duress. Seeing this, we finally got to the root of the problem. The CMO has tasked them to find agencies, but gave no clear direction. Furthermore, he was expecting agencies to produce new mockups for him in about a week for free without any research, discovery, or planning. Nothing else would be considered. We spent some time talking about how we approach these types of projects. Namely, a small “discovery” project including design concepts, which is a risk-mitigating way of hiring an agency and actually getting a decent deliverable. We left with a consensus that it was an uphill battle for them to get approval to do this, yet they agreed with the concept. A day later, I received word that the CMO isn’t interested. 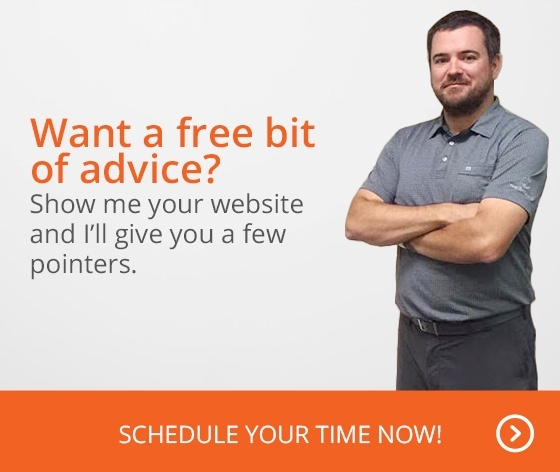 He wants his new homepage designed for free with zero preparation. Yikes! How will they ever achieve their goals or any type of success with the project? Sure, I’m a bit jaded and feel my time and my team’s time was wasted to go and present to someone who didn’t even care we were there. But then I got to thinking: The real people screwed here are the folks who work at this company, and the management team who hired this guy. Clearly, there are issues that have caused them to look for a website vendor in the first place. Those issues require careful thought and consideration. Yet the CMO’s approach to fixing this was to find someone to produce a concept for them with zero research or discovery for free. What kind of agencies will answer that? Probably the ones most desperate to get the business. Which, typically, isn’t the agency best equipped to solve problems. I mean, after all, would you rather go to a doctor with a clear appointment book or see one who is so popular they turn patients away? By now, some agency who is in dire straits has agreed to do this work for free. And believe me, this is true. Given that this agency will have just a week to produce something, they probably will copy a theme from the Web and slap this company’s logo on it. The CMO will eat it up believing he saw something “groundbreaking” and got an amazing deal. And that is how another crappy client/agency relationship is born. Give it a few months, and the new website will be up. Chances are, they will realize quickly that it hasn’t solved their problems and the CMO will already be onto his next gig anyway. “The site should evidence that we are an innovative, disruptive technology company well-positioned in the **** ****** industry, a burgeoning thought leader and fundamentally committed to helping clients achieve lasting success." They are gonna accomplish all of that in a week? So how could the CMO improve his chances of success with this project? The fastest and easiest way is to trust the vendors he is bringing in. Judge them on their merits and minimize any risk by hiring small and progressing to larger projects as the relationship advances. He could have actually looked at the materials we came in with and took the time to present—that isn’t just sound business logic, but also the right thing to do. And most importantly, he could have actually made a judgment (by participating in this meeting) on our thoughts and perspective and how they could solve his problems. Instead, he delegated this important task to his team members who may not be as clear on company objectives and assuredly were not clear on his plans or perspective either. CMOs should understand that the era of spec work is over. In the past, during the "Don Draper" era, there were a handful of agencies and they'd pitch against each other by doing spec work. Today, there are thousands of agencies out there, yet only a select group are actually competent. Those competent agencies find themselves with more work than they can handle. The ones that aren’t busy have the time to give you concepts for free. You’ve already assured yourself of a sub-par product before even signing a contract. So are you this CMO or do you work for one?